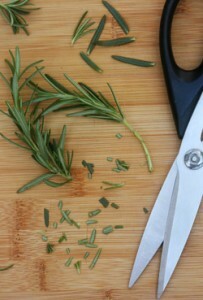 The evergreen needle does more than just smell amazing and make food delicious. It has numerous anti-inflammatory properties that also help the immune system, improve blood flow, and aid in digestion. Actual fruit doesn’t need a label telling you that it’s fruit. If you see the word in print on just about any product, put that product down and back away. If the box says “fruit” or “fruity,” chances are there isn’t really any real fruit in it at all. If the product used strawberries, it would say, “made with strawberries,” but when it has to rely on the generic catchall of “fruit,” beware. Many times the “real fruit” in these products is actually dried figs sprayed with an artificial blueberry or strawberry flavor, or bits of gelatin coated in apple concentrate. 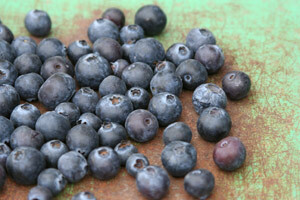 In some cases, like Jiffy’s Blueberry Muffin Mix, there isn’t a speck of fruit anywhere. Instead, they make little round, chewy blue bits out of sugar, flour, and oil colored with artificial dyes Red 40, Blue 2, and Blue 1. Canola oil is often advertised as being as good as, or even healthier than, olive oil, but I’m not buying it (seriously, I’m not buying it). Olive oil is cleanly pressed. 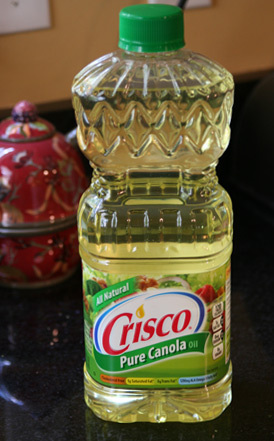 Canola oil, like all the other “vegetable” oils, is extremely chemically processed. But my biggest question is: what’s a canola? I never heard of a vegetable called canola. Or a grain either. Turns out that’s because there isn’t one. It’s a made-up word!